Synthetic hair is a very popular type of hair in the market currently. It takes a different route from the human hair but has some similarities including the texture. Some of the synthetic hair may have a texture that is either similar or close to some of the human hair. They may, however, differ regarding the prices, quality and the duration of time which they last. The synthetic hair is, however, less versatile in terms of the ways of styling. However, it is good and has a lot to offer as far as beauty is concerned. It is also cheaper than the human hair so it will give you an advantage. This article highlights the available various types of synthetic hair and their qualities. It will guide you towards making your ultimate buying decision. The AOOTUS synthetic hair is not very old in the market. However, I must say that it has come a long way since its introduction and continued to serve the interest of women worldwide. If you external hair, it is important to understand all synthetic hair types. It is without a doubt that there can’t lack similarities between synthetic hair and human hair. Regarding texture, they are much closely related. It obviously leads you into believing that the AOOTUS hair has a good texture as so does most of the human hair. This type of hair has amazing features that are credited as advantages over other types of hair. The first thing about it is that it offers great simplicity during the application process because no much styling is involved. So it will only take your few minutes before your head becomes covered with beautiful hair. As you will note, this hair is also sturdy and has the propensity to return to its original form when rolled. It is this reason that makes it retain its natural appearance even after sleeping with it. Another interesting bit about it is that it is highly resistant to bad weather and doesn’t succumb to drooping and frizzing. The Waka Waka synthetic hair will be recognized in one thing. It comes already styled in a particular way and doesn’t allow you to make any more adjustments; this does not mean that the hair limits you in any way. It is only designed in a particular way but has some advantages to offer. Regarding application method, cost and time, this hair stands to be the best selection because it is easy to put hence saving most of your time. Other than saving your time, you are very much likely to spend less on the application mode. That can translate into the overall cost effectiveness. In other words, it is among the best and cheapest synthetic hair you will get here at Kilimall. It is also exciting that both men and women can use the Waka Waka hair. It exhibits a simple style on the head, and it is not flowing but settles on the upper head covering up to the ends of your head. Moreover, just as it is with every other synthetic hair, this hair is very strong and cannot easily be tilted by unwanted force. It is also exciting that the hair is not affected by adverse weather conditions. Some of the ruinous incidents that happen with other types of hair especially human hair like frizzing are not witnessed in this type. As the name suggests, this hair has an exciting element of beauty. It is among the synthetic hair extensions that will completely stun you with an impressive design. As it is with most human hair weaves, this hair has adopted a flowing style which has natural curls. The style being presented by this hair is virtually unique because seldom will you find that style even among the human hair counterparts. The hair is also naturally black with an impressive look above average luster. If you love such hair with glowing luster, this hair will give you a great opportunity. The luster too is permanent and does not fade under any circumstance. Above all, the hair is simple to maintain. Synthetic hair is highly robust and difficult to change. It is possible to retain the natural curls for the entire lifetime of the hair without changing its natural status. One thing to note about this hair is that it is less versatile. It will not allow you to style it in different ways nor will it manage to blend it with other textures. The lack of versatility is not a big deal with this type of hair. Though you may not change it, still it cannot be matched by the convenient price that you buy this hair here at Kilimall. This type of hair has a snazzy contemporary fee, thanks to its natural curls that appears highly alluring on the head. The hair is much popular in the market today and has some rewarding benefits. However, among the things that they will excite you with is a grand element of beauty which is the sentient of interest in this hair. If you desire cheap hair but one which will make you presentable and attractive, you can think of Regina synthetic hair. They have the capability of cementing your reputation and topping up your beauty as a lady. It is the kind of synthetic hair you will put on and get ready for any official work, and expect limitless positive applauses. You take the honor because of its two primary rewards which is beauty and lower price. However, other than that, there are still more benefits you get from this hair. It resembles the human hair in terms of texture softness. Moreover, another thing you will greatly admire from it is that it is very easy to maintain. In fact, this is what makes its overall expense remain low. You spend less to buy and spend less to maintain. Shampooing them with cold water is very possible, and this will not change their style whatsoever. Even when exposed to extreme humidity, this hair will not deviate from its beautiful attraction. The Winner Happy Crown hair is among the few types of synthetic hair that can be molded into a few styles. As it is with many synthetic hairs, they do not offer the versatility to be able to be molded into various styles. However, that does not mean that this hair is inferior in any way, rather, they only offer a different angle of preference. They have amazing benefits to offer which even the human hair may not afford. For instance, the synthetic hair is always recognized for its affordable prices, this applies for this type of hair. It is far much affordable even compared to other types of synthetic hair. This type of hair is also good in quality, it has been designed to last and to overcome any strain from the environment which can be potential harm to the hair. You can also expect that the maintenance of this hair is a simple task and does not involve many expenses. Since it is strong, it is a hard to cut-off, detach or even to fold in an unwanted manner. This hair can retain its color until the time of its expiry. Hence it will always keep you satisfied. Much related in appearance with the Regina synthetic hair. Miss Rola synthetic hair is exclusively found at Kilimall, and it will elate you in its extraordinary resilience it comes with. Talking about synthetic hair, this is one of them that has great durability. It comes with different versions and varying qualities. Its color availability is also almost unlimited as it affords wider colors ranging from fantasy to natural colors. The hair is hard to oxidize or fade when exposed to direct sunlight for long hours. Several types are not safe from direct sunlight as they fade and lose their luster after a short duration of time. This hair is also very light, so it always feels comfortable wearing it. The hair has got natural curls which can be maintained under any weather conditions. This hair will not swell or fizz under high humid weather conditions hence its maintenance is highly cheap and easy. The Miss Rola synthetic hair is full of advantages that you cannot stand having one. It is also among the most beautiful and affordable hair you can find here at Kilimall. Having it, you will be assured of the best style and utmost beauty. When you make up your mind to buy your hair at Kilimall, there are so many advantages you enjoy. Here you find a collection of hair which you may hardly find among other dealers. 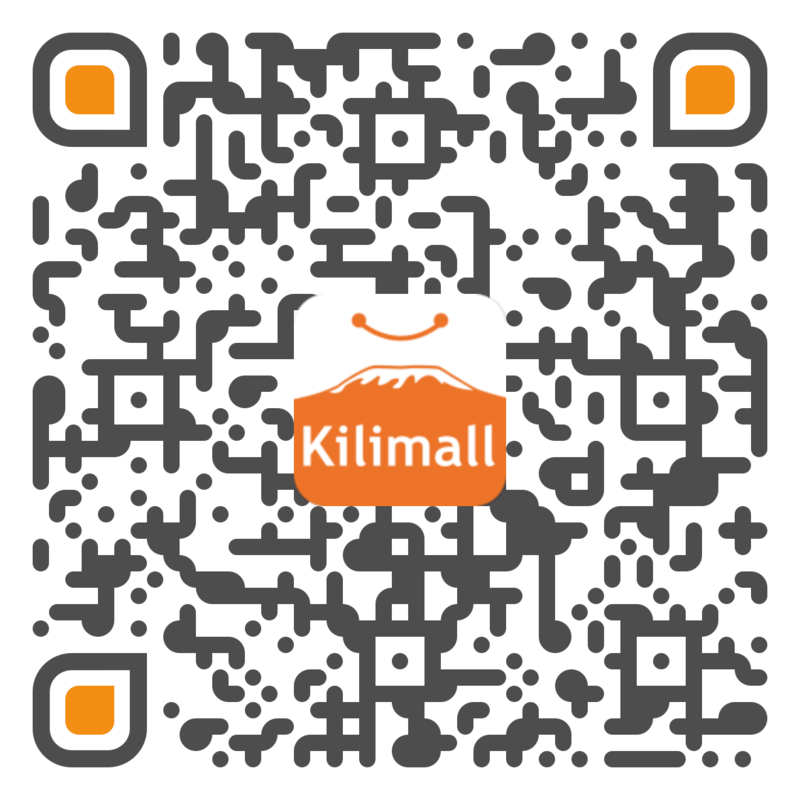 Kilimall is the center of best online sales and fully equipped with products from all parts of the world. You can stand assured that the hair you find here is in a wide variety and you can make your decision freely to the best type of hair that suits you. You will also discover new types of hair that you can start using to avoid the monotony of using similar hair all the time. When it comes to synthetic hair, you will find different types of synthetic hair that are available on board. You will always find that type which pleases you and suits you best. The types of synthetic hair available further varies in texture, durability, quality, maintenance procedures, and price. However, at least each one of them has something unique to offer you hence you can have the advantage to make up your mind from a wider pool. Buying from us will also enable you to find good information about what you are buying. In the first place, before you buy from us you can take advantage of our detailed descriptions of the hair to understand their qualities and how they look like. It is very important that you understand what you are buying before you place your order. Only here at Kilimall will you be able to enjoy good prices apart from other benefits. Since we are experienced and established dealers, we sell our products countrywide hence we deal with massive quality products. This enables us to lower our marginal cost, and this is to your advantage as a customer. We try to keep our prices very low, and you can confirm from our price tags. You can be sure to save some good amount of cash when you buy with us.